1. High blood pressure – Published in the journal Fundamentals of Clinical Pharmacology, researchers found extract from black seed to cause a significant decrease in LDL cholesterol and blood pressure, offering a natural treatment for mild forms of hypertension. 2. Asthma – Multiple studies, including this one published in the journal Phytomedicine, has found Nigella sativa to possess anti-asthmatic effects. One even found it superior to conventional drug treatment. 3. Sore throat – Research indicates that Black seed is an effective treatment for acute tonsillopharyngitis with tonsil or throat tissue inflammation. Basically, it can relieve viral sore throats. 5. Morphine Addiction and Toxicity Prevention – A study published in Ancient Science of Life found Nigella sativa to reduce the indications of morphine intoxication, tolerance, and addiction. Could this seed be the answer to opiate dependence? 6. Protection Against Chemical Weapons – Researchers from Mashhad University of Medical Sciences in Iran found a tincture of Black seed able to reduce the symptoms of chemical weapons exposure including wheezing, respiratory symptoms, and even the need for drug treatment. 7. Post-Surgical Scar Prevention – Tested on areas of post-operative trauma, Nigella sativa was found to protect peritoneal surfaces from scarring or adhesion formation. 8. Psoriasis – Applied topically to psoriasis inflammation, black seed was able to increase epidermal thickness and soothe eruptions. 9. Parkinson’s Disease – An extract of thymoquinone, from black seed, was shown to protect neurons from toxicity associated with Parkinson’s disease and dementia in a study published in Neuroscience Letters. 10. Cervical Cancer – In a cervical cancer cell line, extracts of thymoquinone were able to trigger apoptosis or cell death, slow cancer progression, and stop the spread of the cancer. Nigella sativa, black seed, black cumin, or black coriander – whatever you choose to call it – is not a meager spice. This powerful healing agent has anti-inflammatory, antibacterial, and antifungal properties. It is versatile and easy to find. 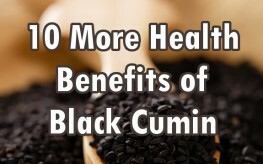 If you haven’t already, make sure you check out Part 1 of the series on black seed benefits. Similarly check out health benefits page to see the many health benefits of your favorite foods. does it help with vitiligo and if yes how? I had trouble falling asleep and waking up 3-4 times a night. My tone was low, I was tired all the time and was cold and flu every month. My blood pressure was 13/8. 27 days after my treatment nigella seeds (250g pur honey + 50g ground seeds), I fall asleep quickly and without any arousal .mon tone is strong and my blood pressure is 12/7. It activates my intestinal transit; I go 2-3 times to the toilet; this is due to the fact that I had not done before the seeds. Since 2 days I take cumin oil (cold pressed) (1 teaspoon 2 times a day, followed by honey to taste). I always feel as well. My other friend is also cured of type 2 diabetes with the same treatment. An old acquaintance is cured of diabetes type 2 by chewing some seeds every day for 5-6 months. This morning I woke up with a stiff neck; I applied light massage oil and pain decreased by 80% in 30 minutes; the advantage is that this oil penetrates completely and not greasy feeling. my cure of nigella sativa ground seeds(50g)+250g pure honey was: 1teaspoon 2 times a day (4 days ) and after 3 times a day (15 days) than 2 times a day( 8 days). 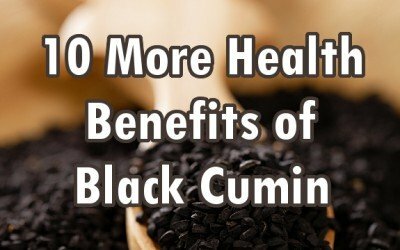 Black seed oil has potent anti-cancer actions. This is one of its most promising properties. call him on phone +2349035428122……………. Do you know if it has helped anyone with Chrons’ Disease or Fibromyalgia? No because it’s quack nonsense and fibromyalgia is a fake condition. In reality check, Fibromyalgia is a condition that is bordering on being called a disease to help sell drugs. This painful condition in really, is a magnesium deficiency and can be easily correct with a supplement, or a mag rich food, such as spinach, broccoli, or simply taking an Epson Salt hot bath. Chrons’ Disease, or IBS can be corrected by getting off of grains, especially wheat, and look in to the benefits of colostrum, or first milk. I have to ask Reality Check, What is wrong with you? Do you work for the drug companies? I hate drugs. Tried eliminating grains and dairy. Didn’t help. Have eaten home grown vegetables all our lives. Wish you were right about this. Have you ask your Dr. to do an iodine load test? Quite often we are not getting enough iodine in our diet and certainly not in salt. I do not use the commercial grocery store salt. magnesium should be taken with calcium , boron, D and C and enzymes. Paulette have you checked into seed oils. Olympic athlete Andreas Wecker nearly died from Crohns and saved his life with seed oils went on to develop a five seed blend. Magnesium makes me sick. I eat spinach, broccoli and many other healthy foods that don’t help. Have a hot tub that helps for a few hours after soaking in it. What drugs? I don’t have any drugs for this. The pain and complications are very real and they now have a blood test that diagnosis it. Damn near killed me 3 times. Be careful what you say, as these things tend to backfire on you. Magnesium makes me sick, so I don’t think your assumption is correct either. And you have no clue. I’m just getting acquainted with Nigella, and haven’t tried it for Fibro. I did use Holy Basil for it, knowing th Holy Basils are ‘adaptogens’. Knocked the Fibro right out in 3 days.